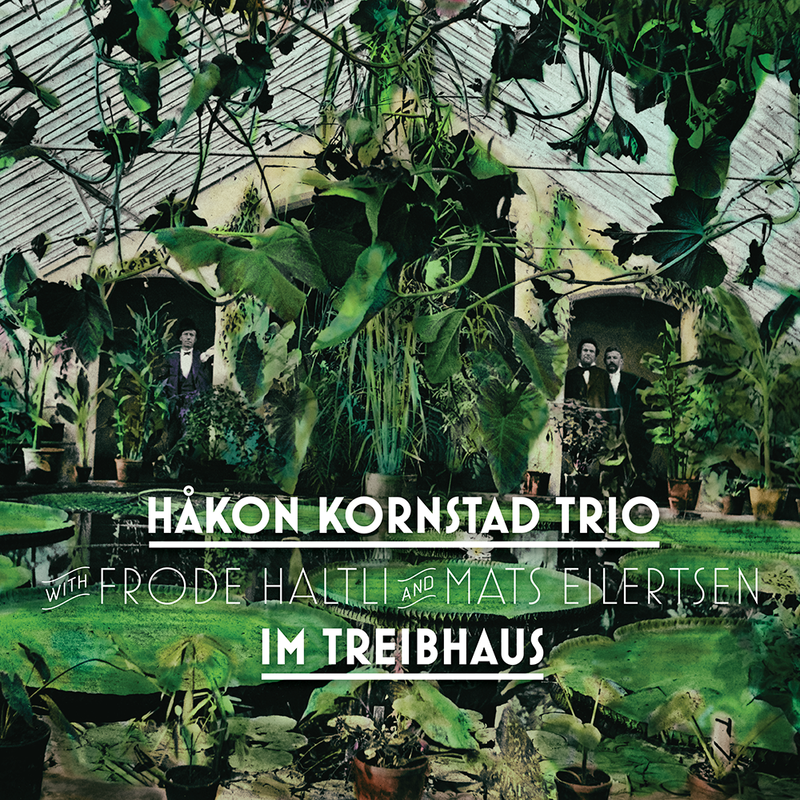 On his latest release, saxophonist and tenor Håkon Kornstad guides us into the ‘Treibhaus’ (‘Greenhouse’) of his musicianship, where stylistic boundaries are bent and lured into blending using musicality and interplay, rather than mere cross breeding. What started as a young Norwegian jazz rebel’s sudden passion for the music of the classical canon, has now grown into a musical species of its own. Håkon Kornstad has astonished and touched a steadily growing audience around the world with his complete openness to music. On ‘Im Treibhaus’ the listener is invited into a neo-Victorian nachspiel with three of Norway’s finest improvisers, creating a transformative synergy between romantic vocal music and Scandinavian jazz. Without boundaries, and with a lot of surprises, the album is a true expression of Kornstad’s rare accumulation of musical influences. The selection of songs and arias by—among others—Tosti, Mascagni, Verdi, Grieg and Wagner (the title track) also calls for a highly original and invigorating mixture of drama and meditation. How did you pick the songs — and how did you arrange them? So, Håkon Kornstad, are you a jazz saxophonist or an opera singer? When I play the saxophone, I’m a jazz musician, inspired by people like Hawkins and Getz, or Garbarek—or Gustafsson for that matter. When I take a breath to sing, I think like a classical singer, inspired by Björling, Wunderlich or Pavarotti, both in love with—and sometimes scared of—the high notes, like all the tenors I know. What does the term “Jazz” mean to you? I grew up in Norway, and here the jazz scene, ever since the 1960s, has been all about mixing different, often contrasting musical genres, using your ears and improvisation skills as glue. Jazz to me is a way of thinking—a method—more than a specific sound. Maybe you bought this album after a concert, wanting to bring these exact same songs and moods home with you, only to find that it sounds totally different from what you remember from that might. In jazz the compositions never stops growing (almost like plants in a greenhouse). …so that’s why you choose the title “Im Treibhaus”? Wagner’s song from “Wesendonck-Lieder” instantly captured me when I first heard it—it has this dark, innate beauty, yet it’s almost sketch like, and with some tweaks, it was well suited and open to our ways of playing with it. But even more so, the title describes my own daily life as a singer for the last three years—I have been trying to let my voice grow, the way it wants to. Would you consider this nostalgia, or is it contemporary music? Personally I think this is the most contemporary and cutting edge way of making music in 2018: editing the canon with a new point of view. However, I also think the most boring art in the world is the one without any door open for a good laugh. Produced by Kåre Chr. Vestrheim. Co-produced by Håkon Kornstad. Recorded August 27-28, 2018 in Propeller Studios, Oslo. Engineer: Mike Hartung. Mixed by Mike Hartung, October 2-4, 2018 in Propeller Studios, Oslo.